When the night comes, hammerhead sharks will become a solitary hunter. During the day, they will gather in a school just like other sharks. The school of hammerhead sharks can be found living in Cocos Islands of Costa Rica, Malpelo Island of Colombia and Molokai of Hawaii. 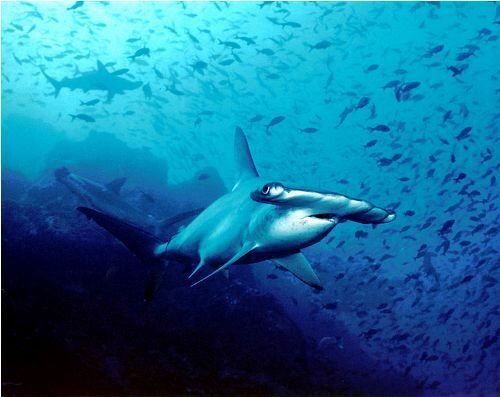 The eastern and southern Africa also has large schools of hammerhead sharks. The primary diet of hammerhead sharks includes octopus, squid, fish, sharks and crustaceans. The favorite one for them is stingrays. 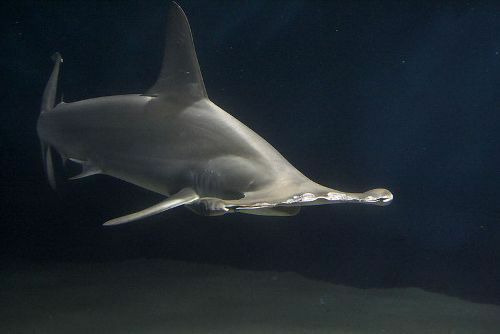 Hammerhead sharks will stalk their prey by spending the time at the ocean bottom. They hunt down the prey using the unique head. It is used as a weapon. When the stingrays are in the state of shock and weakness, the hammerhead sharks will eat it. The great hammerhead sharks are stronger, more aggressive and larger. Cannibalism is common among this species. 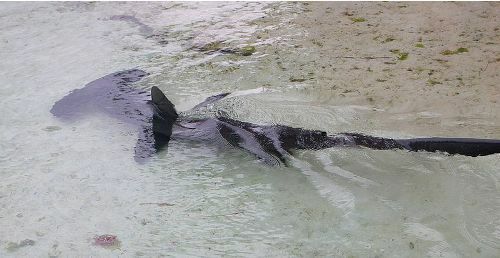 They will eat their own young and other hammerhead sharks. The dangerous species of hammerhead sharks include the smooth, great and scalloped hammerheads. The endangered species of hammerhead sharks include scalloped and great hammerheads. Both of them are often hunted by human beings due to the expensive delicacy, high demands of their fins and overfishing. The risk of extinction is higher on many hammerhead sharks because of overfishing in some countries in Asia. Finning is a practice, which cuts off the fins of sharks and put them back to ocean. 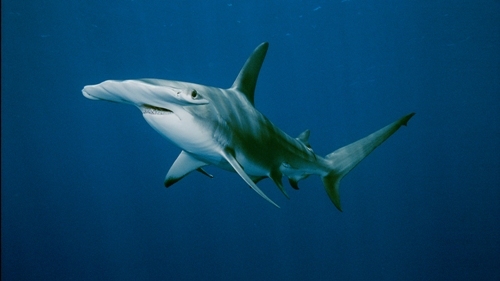 The Hawaiian people consider the hammerhead sharks as the respected sharks of the oceans. Do you have any comment on facts about hammerhead sharks? © 2019 10 Interesting Facts. All rights reserved.